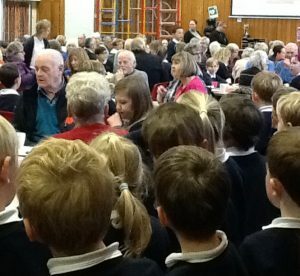 Thank you to all our guests who came to the harvest tea yesterday. Well done to all the Year 6 children for being great hosts and entertaining our guests along with the Key Stage 1 children for singing so beautifully to everyone. We would also like to thank everyone who baked and donated cakes and biscuits.